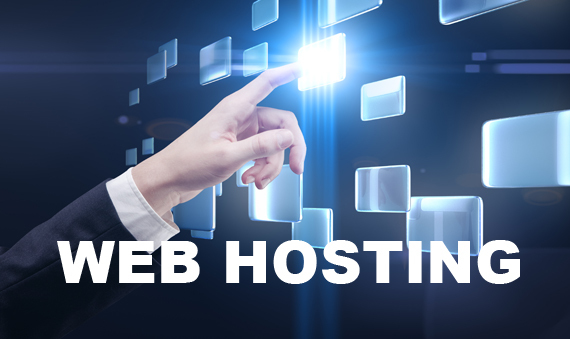 Website Hosting is a service that allows people or companies to store their information, pictures, videos or any content through online systems being accessible by Web Hosting Providers. The Site typically are companies that provide space to store that content on its servers and internet connection to these data to their customers. In this type of service, the server is shared among multiple companies that hire the hosting service, ie, is the division of the resources of a server across multiple clients. Each has its own disk space and bandwidth individual band, according to the hosting plan contract. The value depends on the space to be used, the resources available, site traffic, among other features. The plan is recommended for those who do not have much traffic or are starting a website. In this type of hosting the main attractions are price, simplicity of use and maintenance, one of the most used by small businesses. Recommended for: Small sites with low volume of requests. ◈ Low cost: the lowest price is one of the main advantages of shared hosting. ◈ Ease of use: simple to install and maintain the site through a system of “click and drag”, facilitating this process. ◈ Technical Support: is guaranteed by most companies that offer the service of web hosting, assisting in the resolution of questions and problems with the website, server and configuration requirements. ◈ Resources: a collection of resources that can grow as the demands of the site. ◈ They usually arise when the site presents considerable increase in traffic volume due to resource contention server with other clients of the company that offers the service. ◈ Inability to customize the hosting service. ◈ It is possible that the server be overwhelmed at times, which can take the site down. ◈ Sites with high security requirements, such as e-commerce store with credit cards in own base, for example, the system is not indicated. A VPS or virtual private server is a technology that is rapidly growing in the web hosting industry. A VPS is created by software that partitions / divides a physical server to create multiple virtual servers within it, a process called virtualization of servers. Recommended for : medium Sites with volume of accesses between medium and high. ◈ Improved performance and security than a shared hosting. ◈ Cost-benefit, it may dispense with own infrastructure, use of physical space. ◈ Reduction in the cost of acquisition and maintenance of equipment. ◈ Customer is responsible for all installation, maintenance and security of VPS. ◈ If the customer has no experience in the subject, one can hire the management by the supplier. In this type of hosting, instead of sharing the server with other customers, the hardware is dedicated exclusively to the needs of the contracting client. The client is not obliged to share resources, providing a superior level of control, flexibility and performance. You can choose your own operating system, install the applications themselves and incorporate the security mechanisms you best for your environment. Nevertheless, this is a scenario that requires you to have a certain ability to manage and maintain a server. Unlike shared hosting, dedicated hosting is not recommended for inexperienced users. Recommended for : Large companies with very high volume of requests, data bank of dense and diverse applications. ◈ Total autonomy over the hosting environment. ◈ High cost for a small business. ◈ Requires some skill to manage and maintain a server.